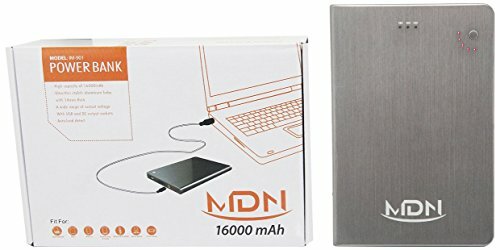 The MDNA Multi Juicer is made for When you need to charge more than just your mobile phone or your need a laptop Travel charger (Includes a US,UK & EU PLUG)- Its a High Capacity Power Bank External Charger Backup Charger for your iPhone iPad Smartphone Laptop or Tablet, It is the most cost effective Power Bank External Charger available on the market today. Compatible devices: (Tips: Ctrl+F to search) Notebook Netbook Laptop: Sony (6.0 x 1.4mm), Samsung (5.5 x 1.0mm), Toshiba (6.0 x 3.0mm), HP (7.4 x 5.0 x 0.6mm), Asus (4.75 x 1.7mm), Acer (5.5 x 1.7mm), Dell (7.4 x 5.0 x 0.6mm), IBM (5.5 x 2.1) . Apple Devices: iPhone 5S|5C|5|4S|4|3GS|3, iPad 3|iPad 2|iPad MiniiPad,iPods . Samsung: Samsung Galaxy S4|S3|S2|S|Galaxy Nexus Galaxy Note Note 2|Samsung Galaxy Tab. HTC: HTC One X|One Some Sensation XE XL|EVO 4G|Radar 4G. Nokia:Lumia 920 900 710 800 | N8 | N9. Motorola: Droid Razor, Bionic | Atrix 2 | Triumph. Sony: Sony Xperia Series, Xperia Z, Xperia ZL, Xperia Z Ultra, Xperia SL, Xperia U, Xperia P, Xperia S, Xperia TL. Blackberry:Z10, Q10, Bold 9900, Bold 9700, Curve 9320, Curve 9360, Curve 9310, Curve 8530, Torch 9860, Torch 9810 LG:Nexus 4, Optimus 4X, 2X, V, S, T, 3D, 7. Digital devices: MP3 players, PDAs, digital cameras, eBooks, GPS, handheld game consoles, Google Glass, Bluetooth devices and more. Compatibility Choose from between DC 12V / 4A, 16V / 3.5A, 19V / 3A and USB 5V / 2.1A outputs for greater accessibility. About MDNA MDNA is pleased to offer a wide range of accessories for your electronic devices and more. At MDNA we are devoted to offering the highest quality products. Our goal is to maintain 100% customer satisfaction. To achieve 100% customer satisfaction, we offer benchmark warranties, coverage and support for all of our products. Shop with confidence... Shop with MDNA! If you have any questions about this product by MDNA, contact us by completing and submitting the form below. If you are looking for a specif part number, please include it with your message.